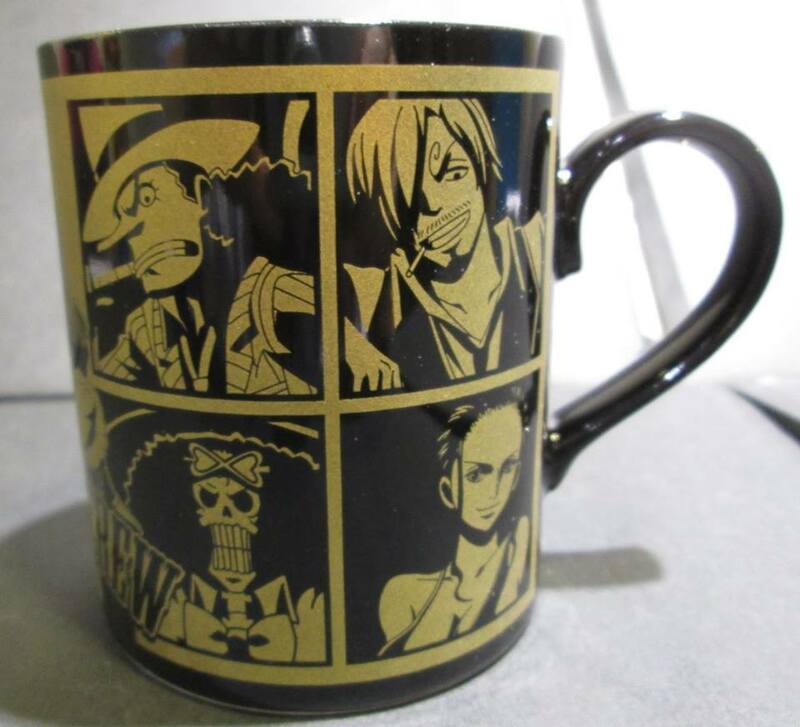 I love this mug that the mugiwara store from Japan has. I really hope you could shop from this store online but it seems that you can unless you have a proxy service guy. Hope you like the mug like I do. Categories: Uncategorized | Tags: Aokiji, Arlong, Armored Franky, Banpresto, Banpresto Grandline Men Film Z Vol 2, Brook, Brook Soul King, chibi, chibi-arts, Chogokin, Chopper, Chopperman, chopperman headphones, CP9, Crocodile, Custom P.O.P, Don Flamingo, Figuarts ZERO Battle version, film Z, Franky, Franky Custom, Golden Lion, Heart Pirates, Ichiban Kuji, Kalifa, Kuzan, List of One Piece characters, MAXIMUM, Megahouse DX, MEgahouse MAS, MEgahouse P.O.P, Monkey D. Luffy, Mugiwara, Nami, Nami Mugiwara, Navi Admiral, Navy Admiral, Nico Robin, One Piece, One Piece figures, One Piece Film Z, One Piece Jigsaw, One Piece Keychains, One Piece MAXIMUM, One Piece Super Styling, P.O.P Armored Franky Sailing Again, Red Hair Shanks, Rob Lucci, Roronoa Zoro, Roronoa Zoro Custom, Sailing Again Custom, Sanji, Schichibukai, SCultures, Scultures Big Special Roronoa Zoro, Sengoku, Shanks, Shiki, Strong, Sun Pirates, Tony Tony Chopper, Tony Tony Chopper Horn Point, Trafalgar Law, Usopp, Vivi, Water 7, WCF Halloween Vol 2, WCF MEGA, Whitebeard, Whitebeard Ver.0, Yonko | Permalink. Found this online. 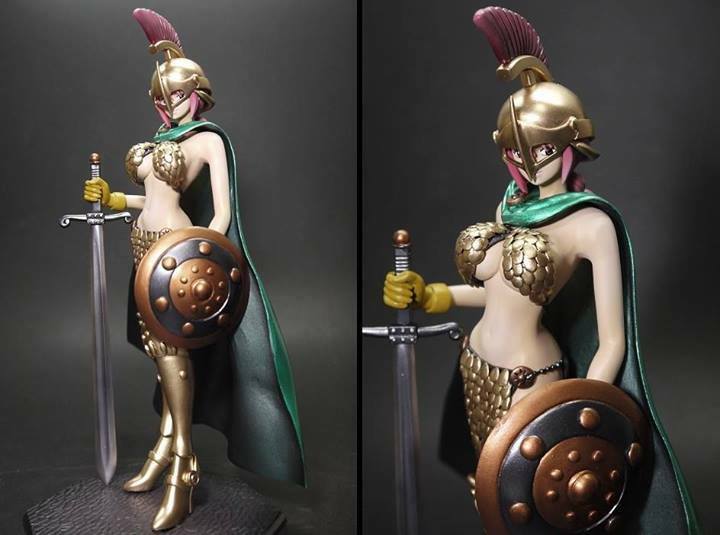 It’s a figure of Rebecca the gladiator. I hope in the future Megahouse, Figuartz or other company makes a figure of this character. For us collectors it will be a great addition to our collection. Thanks to thegrandlineshop for the great pictures of this amazing figure. 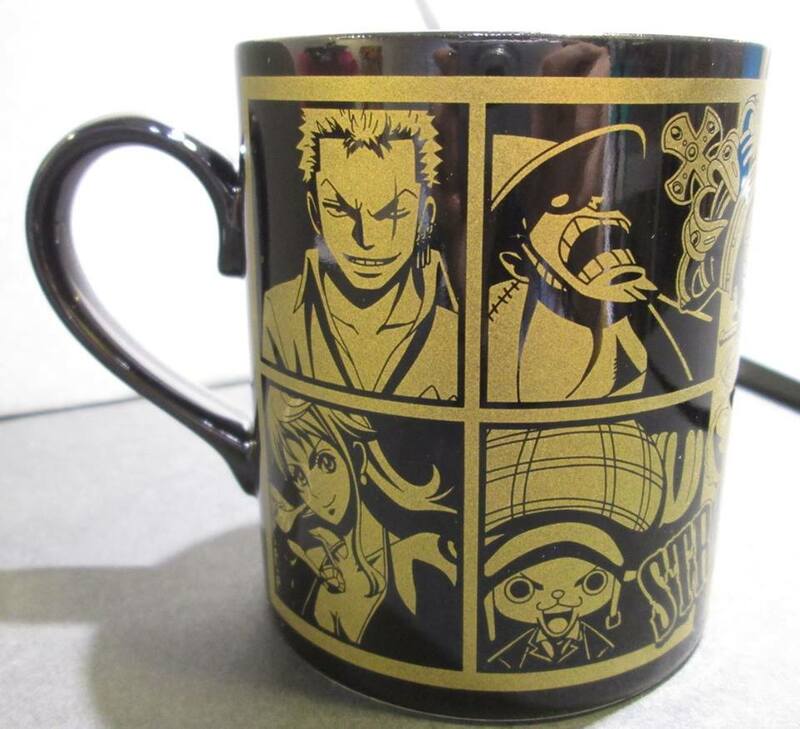 This time we have some pictures of Shiki from the One Piece Strong World movie. For those who don’t know who Shiki is, here’s a brief summary of this character. Shiki is the captain of the Golden Lion Pirates and he was a big time pirate during Gold D. Roger and Luffy’s grandpa Garp. Shiki is also the big bad boss from the One Piece Strong World Movie. He ate the Fuwa Fuwa no mi. So in other words or easy words to explain, he ate a devil fruit that allows him to levitate everything that he touches. There is a weird characteristic about this pirate. He doesn’t have any legs. Because he cut his legs so he could be able to escape the Great Prison of Impel down and he uses his own swords as legs. Found these Jigsaws and I wanted to share them with you guys. 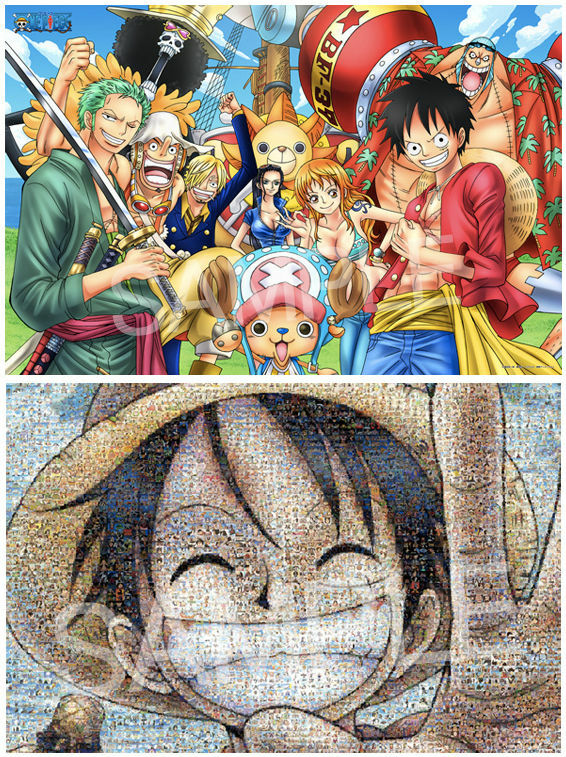 I don’t really own a Jigsaw form One Piece but I will like to have one of these ones. Specially these ones since their 1000 pieces puzzles. Who didn’t love a jigsaw when we were kids. I hope you enjoy the pictures. I putting the links of the jigsaws in case you want to buy them. They cost around 2800-2940 yens. Categories: Uncategorized | Tags: Aokiji, Arlong, Armored Franky, Banpresto, Banpresto Grandline Men Film Z Vol 2, Brook, Brook Soul King, chibi, chibi-arts, Chogokin, Chopper, Chopperman, chopperman headphones, CP9, Crocodile, Custom P.O.P, Don Flamingo, Figuarts ZERO Battle version, film Z, Franky, Franky Custom, Heart Pirates, Ichiban Kuji, Kalifa, Kuzan, List of One Piece characters, MAXIMUM, Megahouse DX, MEgahouse MAS, MEgahouse P.O.P, Monkey D. Luffy, Mugiwara, Nami, Nami Mugiwara, Navi Admiral, Navy Admiral, Nico Robin, One Piece, One Piece figures, One Piece Film Z, One Piece Jigsaw, One Piece Keychains, One Piece MAXIMUM, One Piece Super Styling, P.O.P Armored Franky Sailing Again, Red Hair Shanks, Rob Lucci, Roronoa Zoro, Roronoa Zoro Custom, Sailing Again Custom, Sanji, Schichibukai, SCultures, Scultures Big Special Roronoa Zoro, Sengoku, Shanks, Strong, Sun Pirates, Tony Tony Chopper, Tony Tony Chopper Horn Point, Trafalgar Law, Usopp, Vivi, Water 7, WCF Halloween Vol 2, WCF MEGA, Whitebeard, Whitebeard Ver.0, Yonko | Permalink. Hope you like this new upcoming figure from the figuarts zero collection. This time they are releasing a new trafalgar law battle figure. The prize for this figure will be 3,780 yens and it will have a release date of february of 2014. Categories: Uncategorized | Tags: Aokiji, Arlong, Armored Franky, Banpresto, Banpresto Grandline Men Film Z Vol 2, Brook, Brook Soul King, chibi, chibi-arts, Chogokin, Chopper, Chopperman, chopperman headphones, CP9, Crocodile, Custom P.O.P, Don Flamingo, Figuarts ZERO Battle version, film Z, Franky, Franky Custom, Heart Pirates, Ichiban Kuji, Kalifa, Kuzan, List of One Piece characters, MAXIMUM, Megahouse DX, MEgahouse MAS, MEgahouse P.O.P, Monkey D. Luffy, Mugiwara, Nami, Nami Mugiwara, Navi Admiral, Navy Admiral, Nico Robin, One Piece, One Piece figures, One Piece Film Z, One Piece Keychains, One Piece MAXIMUM, One Piece Super Styling, P.O.P Armored Franky Sailing Again, Red Hair Shanks, Rob Lucci, Roronoa Zoro, Roronoa Zoro Custom, Sailing Again Custom, Sanji, Schichibukai, SCultures, Scultures Big Special Roronoa Zoro, Sengoku, Shanks, Strong, Sun Pirates, Tony Tony Chopper, Tony Tony Chopper Horn Point, Trafalgar Law, Usopp, Vivi, Water 7, WCF Halloween Vol 2, WCF MEGA, Whitebeard, Whitebeard Ver.0, Yonko | Permalink. I want to share this amazing collectable by Cubic Theater. 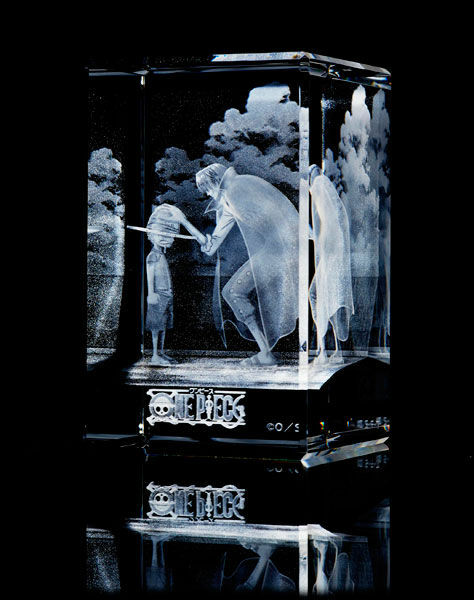 This collectible shows Luffy and Shanks on their epic moment where Shanks give his Straw Hat to Luffy. You can still pre-order your at amiami.com. The price of this figure is 4,980 yens. Let me know if you are getting yours. Here’s an image of the upcoming Scultures Blackbeard figure. 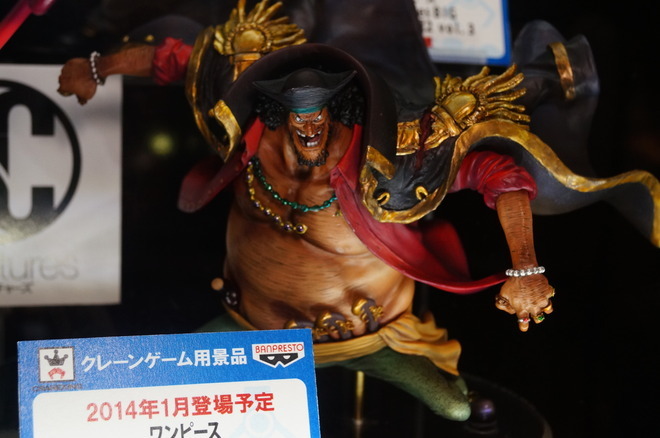 The figure looks kind of weird because Blackbeard looks like he got a mega tan on his skin. I guess we need to wait until the put official pictures to see if the fix the color of blackbeard. Hope you like the picture.